My friends at OSDparts.com have many hard to find parts in stock as well as custom kits for your Sea Doo plus they ship all over the world so check them out for your Sea Doo parts needs! I'm getting away from the tech question answering thing for a while so I can spend time helping my friends at OSDparts.com develop more new products to help PWC owners save some money. Therefore if you have a tech question please try the PWCToday.com board or other online sources while I'm taking a break. Thanks! Parts Inventories from overstocked or closing Sea Doo shops. If you have parts or know of a Sea Doo dealer in your area that is closing, contact me at OSDparts.com with the details. Blown or wrecked Sea Doo watercraft in the Ohio vicinity. If you have one, contact me with description and price. Have you had a bad experience with a dealer, repair shop, or engine rebuilder? If so, now you can post your experiences here. Hopefully this page will help others avoid the same fate! Anti-Rattle Kits For Older Doos ! equipped 1995 up Sea Doo? problems if not caught early! instead of using a dealer! The area above is always changing so check back often as links are added. Your Sea Doo Info Source! Welcome and hope you find this site to be useful for technical information for Sea Doo watercraft. I've been in the PWC field since the early '90s and after using and abusing many different makes, in my opinion nothing beats a Sea Doo for ride comfort, features, and power. Like any mechanical thing though, they do occasionally break so that's how this site came about. The main goal of this site is to help the Sea Doo owner with routine to not-so-routine maintenance issues that may arise. I have spent many years now compiling the information in this site and the primary objective of its existence is to help Sea Doo watercraft owners with repairs and maintenance as well as advice. If you are in need of technical advice that isn't in this site, please e-mail me and I can try to help. My tech knowledge is mainly from experience with the pre 2000 models, but I do have reference materials available through 2007 if you need help with a newer model. If this site helps you save a little money and learn about your Sea Doo I've accomplished my goal! THINKING ABOUT A REBUILT CRANK OR SHORTBLOCK? If you want a complete shortblock, at this time my recommendation is that you go with an OEM Sea Doo rebuild over any of the other rebuilders out there. They're worth the extra money and through your local dealer there should be no shipping charges so they most likely end up about the same cost as a lower quality remanufactured engine. If your dealer does try charging shipping, go through a different one since any decent volume dealer won't charge you. If you decide to use one of the many rebuilders, look for oem or similar quality parts in the rebuilds. 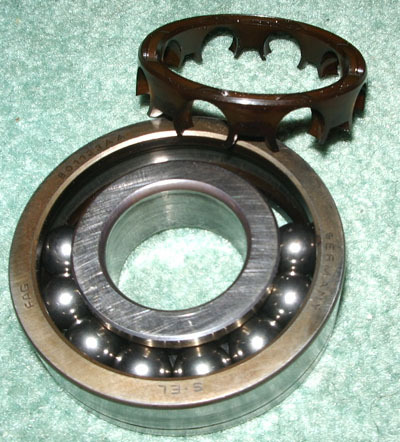 The main failure point now with most rebuilds is that Chinese bearings and inferior aftermarket parts that are commonly used to reduce costs. The result is an engine that needs rebuilt again very soon. Although some rebuilders offer a "no fault" warranty, my opinion is the only way they can do that is due to super cheap components and low paid unskilled workers to keep the costs low. They don't really care if they have to exchange 10% or more of their products since they factor that into doing business. You should care though since you're the one with the time/expense of changing the bad motor for another questionable one. The cost using oem rebuilds and/or parts will be a bit more, but the reliability will be worth it! Finally, if your engine has failed and you're installing a replacement, make sure to rebuild the carbs and insure the fuel system is clean while it's apart since those items are the #1 cause of engine failures. LOOKING FOR PARTS AND INFO FOR MODIFYING YOUR SEA DOO FOR MORE SPEED? Since Sea Doos come from the factory with about as much power as they could offer and keep reliability, modifications almost always shorten the engines time before a rebuild is needed. Therefore, my philosophy is "if you want to go faster, buy a faster STOCK Sea Doo!". A modified 2 stroke won't last long and is usually the cause of peoples complaints about them. Adding a high compression head and other engine mods will ultimately lead to a rebuild sooner than later. If you want your 2 stroke Sea Doo to go faster, buy a stock Sea Doo with a larger engine! As far as the newer 2 stroke 787 RFI and 947 DI powered skis go, since they're computer controlled and really touchy (not to mention expensive to rebuild), I wouldn't recommend one of those if you ever want to add mods for performance. Stick with the carb models for the most flexibility on tuning and modifications. If you're still thinking about doing mods, my advice is as follows... If you want to rebuild it soon, up the compression. If you want your engine to last a little longer, an aftermarket pipe and carb mods as well as a different impeller should get you some extra speed without killing too much reliability. I don't have any actual performance modification info on this site, but there are many online forums and sites that specialize in that so Google them if you're still in the market for info and help. On this subject, you'll get widely varying opinions on which is best but here's how I see it. The 4 stroke lasts longer and is really reliable, but is much more complicated than a 2 stroke so when they start breaking it's going to be costlier. When they do break, they need to go to the dealer in most cases. The 4 stroke by design is also a heavier, less agile machine compared to 2 stroke models. It's also worth noting that the 155hp 4 stroke is much more reliable than the 300hp model as well if you're shopping for one. Mechanically, the 2 stroke is a simpler machine and most of the time you can do repairs yourself. If people do the proper maintenance on the 2 strokes, they will usually last hundreds of hours before any major repairs are encountered. Due to strict environmental laws though, PWC manufacturers have phased out 2 stroke production. They now use the heavier, more complicated 4 strokes. When PWCs first came out, they were a toy like a dirt bike or go cart. They were a cheap, agile fun craft that you didn't need a loan to buy. These days the machines offered are really heavy, cost more than a boat and take years to pay off. I can't say I'm happy with the way the industry has gone, but their direction has unfortunately been guided by the EPA and other stricter Gov't regs. From what I've seen, it appears that the industry has given up on pursuing the available technology (see Evinrude E-TEC 2 Stroke Outboard) to make 2 stroke PWCs work but I'm hoping they're secretly trying to come up with a new 2 stroke engine design for them. Due to the 2 strokes light weight, high revving, and big hp per cc, in my opinion they are clearly the best engines for PWC use so I'm keeping my fingers crossed! LOOKING AT A USED 947 DI POWERED SEA DOO? If you found a used DI model in good running condition and is a really good buy, go for it! But if it has been modified or has mechanical problems run from it! Those machines are ok when in stock good running condition but it's A FACT that modifying for more performance on any 2 stroke Sea Doo will shorten the life of the engine since they originally came from the factory with as much HP as could be offered and still keep reliability. Then the FACT that DI systems are really complicated and parts expensive ($600 fuel pump, various sensors that need a buds to diagnose, engine much more expensive to rebuild) will make you your dealers favorite customer! In my opinion for the minor fuel savings (130hp 951cc Carb - 14.5gph (at WOT)// 130hp 951DI - 12.4gph (at WOT)) and minimal performance advantages, that machine isn't worth the long term big expenses for repairs WHEN it breaks. Stick with the easier to repair, easier to mod carb models and you'll thank me later! Of course, that's JUST MY OPINION so take it for what it's worth! The 787 RFI and 947 DI powered skis features what I consider a really dumb design which incorporates a "Limp Mode". From what I've seen from past experience, Limp Mode works kind of like the Cadillac Northstar design... that seemed like a good idea too. The Northstar was hyped as being able to run approx 50 miles with no coolant. Of course they didn't mention the engine was junk when it finally quit. As for your Sea Doo, that means if say a fuel injector malfunctions instead of the ski shutting down and saving you an expensive repair, the engine keeps running with one cylinder to get you back to shore. Of course by the time you're at the dock it has trashed the cylinder that was getting no fuel so you need a new motor! In this day of everyone wanting to keep everyone "safe", I can see how Sea Doo thinks sacrificing the machine to get you back to shore is acceptable. Not me and probably not you as well. If you ever experience a limp mode condition, shut it off immediately and get it towed. Trust me whatever the expense on the tow, it will be much less than the cost of a rebuild! HAVE YOU OVERHEATED YOUR 2 STROKE SEA DOO RECENTLY? If so, you should closely monitor the running condition of the engine. An overheated engine can score the cylinders resulting in a loss of compression. More often though, getting an engine hot enough to melt hoses and wires will also melt the plastic cages that retain the balls in their proper places in the main bearings. If those get brittle and fail, the crank will go very fast after that. If you notice any unusual noises shortly after an overheat has occurred, you might want to pull the engine and have rebuilt before it grenades and costs much more to repair. Nederlands (Dutch) - De URL zal hieronder me toestaan om uw verzoek te vertalen zo geen probleem onderzoekend in uw eigen taal! Fran�ais (French) - Le URL ci-dessous me permettra de traduire votre demande tellement aucun probl�me s'enqu�rant en votre propre langue ! Deutsch (German) - Die URL unten erlaubt mir, Ihren Antrag zu �bersetzen so kein Problem, das in Ihrer eigenen Sprache sich erkundigt! Italiano (Italian) - Il URL qui sotto permetter� che me traduca la vostra richiesta cos� nessun problema che domanda in vostra propria lingua! Portuguese (Brazil) - O URL abaixo permitir� que eu traduza seu pedido assim nenhum problema que inquire em sua pr�pria l�ngua! Espa�ol (Spanish) - �El URL abajo permitir� que traduzca su petici�n tan ning�n problema que investiga en su propia lengua! This site has no affiliation with BRP or Sea Doo. Information presented on this website can be found through various other sources throughout the internet so is considered public information (unless otherwise noted) and may be distributed or copied. Use of appropriate byline/photo/image credit is requested. While SeaDooSource.com makes every effort to provide accurate and complete information, there may be inaccuracies in some data. SeaDooSource.com welcomes suggestions on how to improve the site and correct any errors found. SeaDooSource.com provides no warranty, expressed or implied, as to the accuracy, reliability or completeness of furnished data and information. Some of the documents on this site may contain live references (or pointers) to information created and maintained by other organizations. 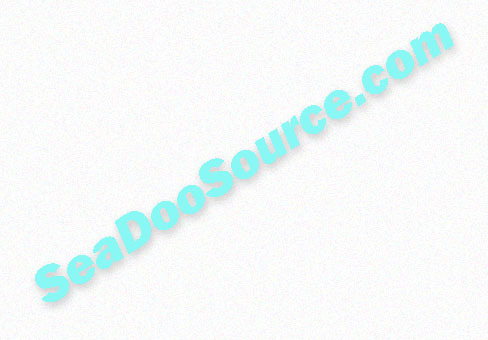 Please note that SeaDooSource.com does not control and cannot guarantee the relevance, timeliness, or accuracy of these outside materials. Also note that lots of the things stated on this site are my opinions and only opinions but were gathered over many years in and around Sea Doo watercraft related industries as well as owning quite a few myself. In those years I've helped FREE OF CHARGE literally thousands of people with technical and maintenance issues so hope I can help you as well. Due to the number of emails I get, I sometimes can't answer all but do try to! Also note that sometimes I see an article or comments posted on the various Sea Doo boards out there and think it might help people so compile relevant info into a page and add it to my site. Sometimes that info may be flawed so don't take it as gospel! If you have suggestions for additions to this site or see errors in it, let me know and I'll see what I can do! Your comments on improving this site are also appreciated.